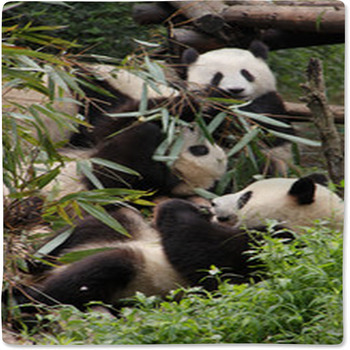 Baby pandas and their environment make great and easy color themes: black, white, and any other color of choice. 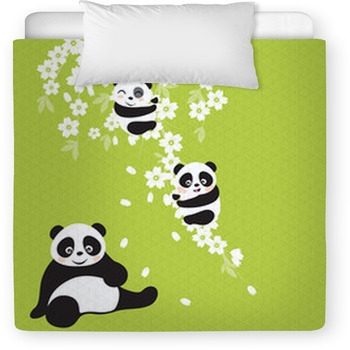 With panda baby crib bedding you can choose reds, orange, green or any gender neutral color, or select pink or blue to match for a baby girl or boy. 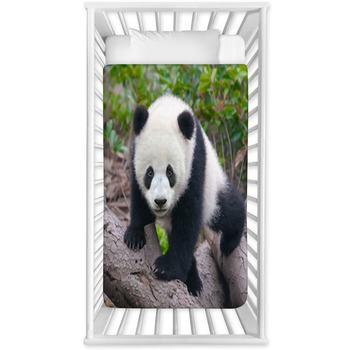 Painting spots on the walls to match your baby's panda baby crib bedding or just picking a favorite solid color to complete the look. 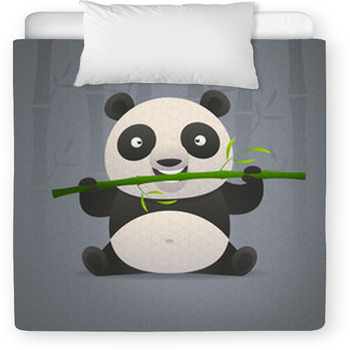 From the jungle to your baby's room, a panda themed nursery is just the ticket to making your newborn feel at home. 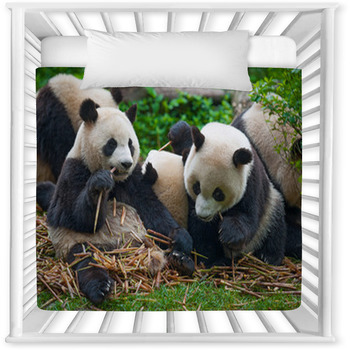 Not only is their panda baby crib bedding cute, but the soft, plush fabric will keep them soft and warm all day and night. 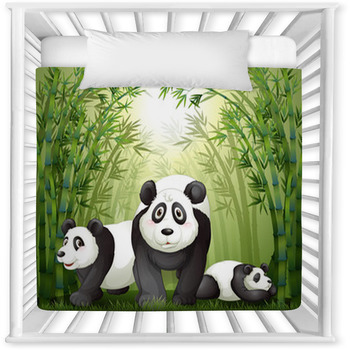 To complete a unique panda baby room, your panda baby crib bedding must have coordinating panda accessories to match. 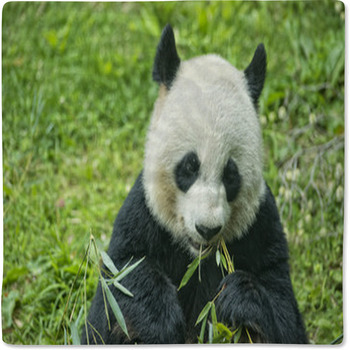 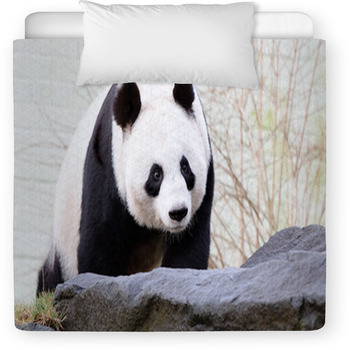 From panda wall art to murals and even curtains, VisionBedding can help along the way. 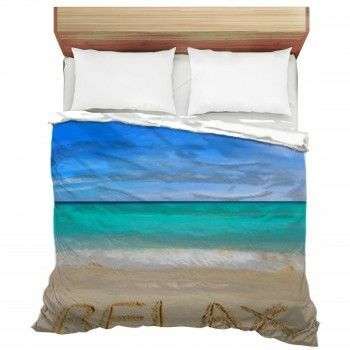 With unique ideas and so many different products to choose from, you can put your design or picture on any surface of your baby's room. 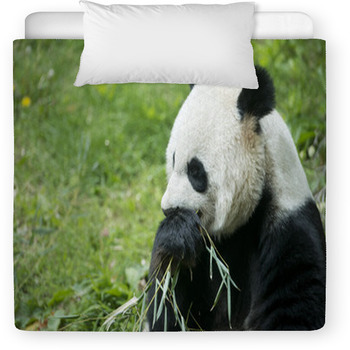 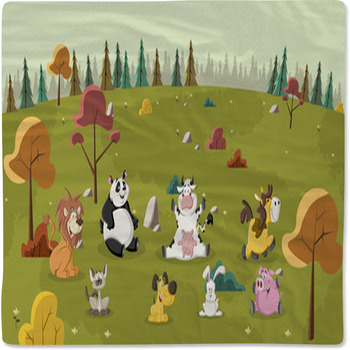 Most importantly, your panda baby crib bedding will become a keepsake for your child for years to come. 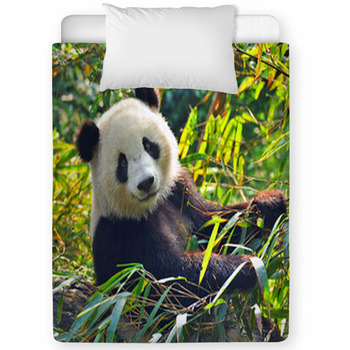 Personalized panda baby crib bedding and custom panda baby crib bedding options are also available and make excellent gifts for expectant parents. 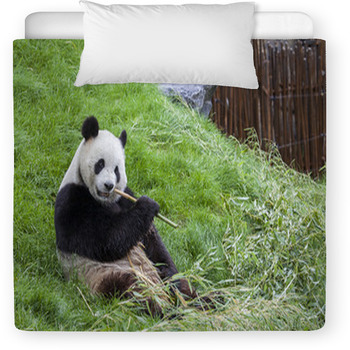 Just add a name to the panda baby crib bedding or a special message and the child will hold on to it as a keepsake that will last a lifetime.